After months of pumpkin, caramel and apple flavors followed by the traditional holiday fare, we were ready for a taste of summer the other day. 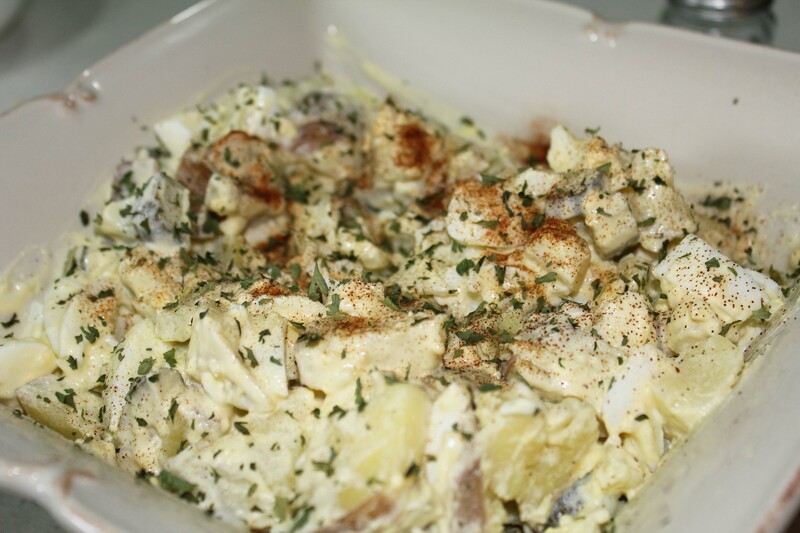 So I whipped up some chunky potato salad. It tasted divine – or as divine as potato salad can taste. Ranch dressing and pickle juice give this chunky mixture it’s subtle flavoring. 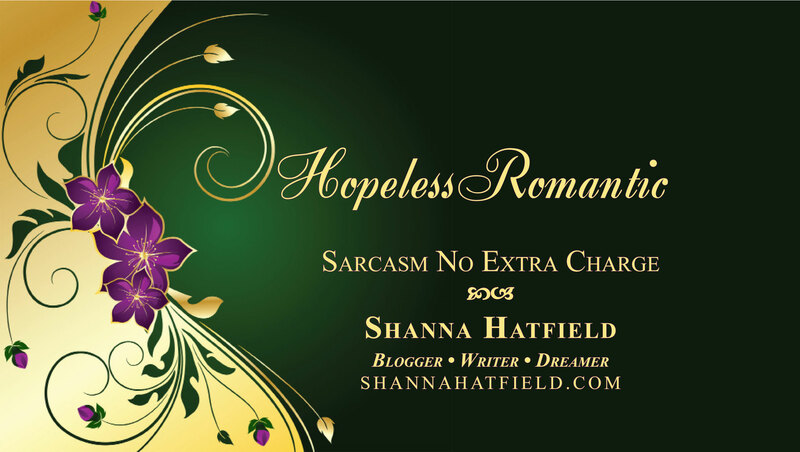 Whip up a batch and see if you don’t get rave reviews. When taken to a potluck gathering, the bowl usually comes back empty. 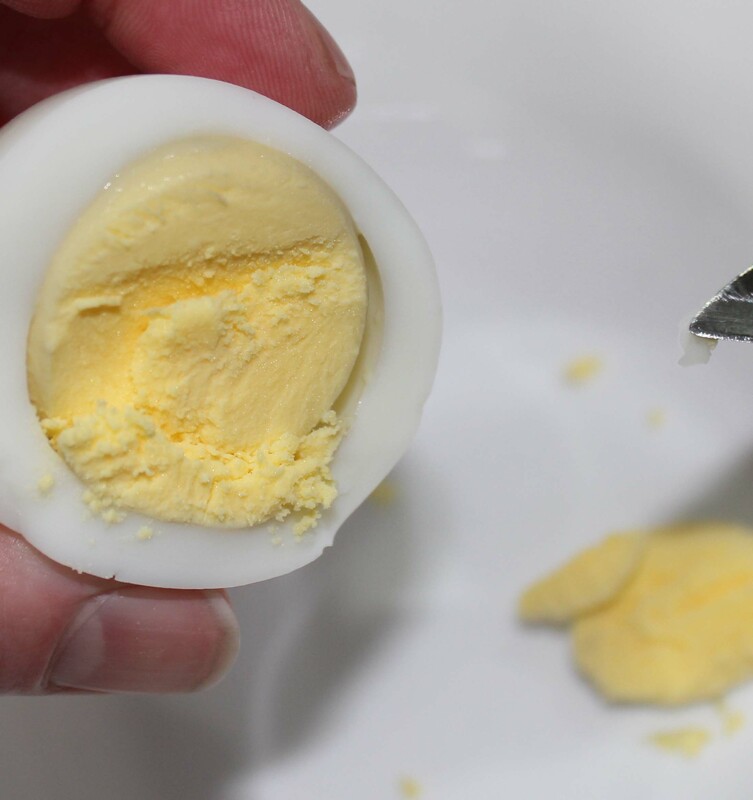 Once the eggs are cooked and cooled, remove yolks. Then smash them into oblivion. 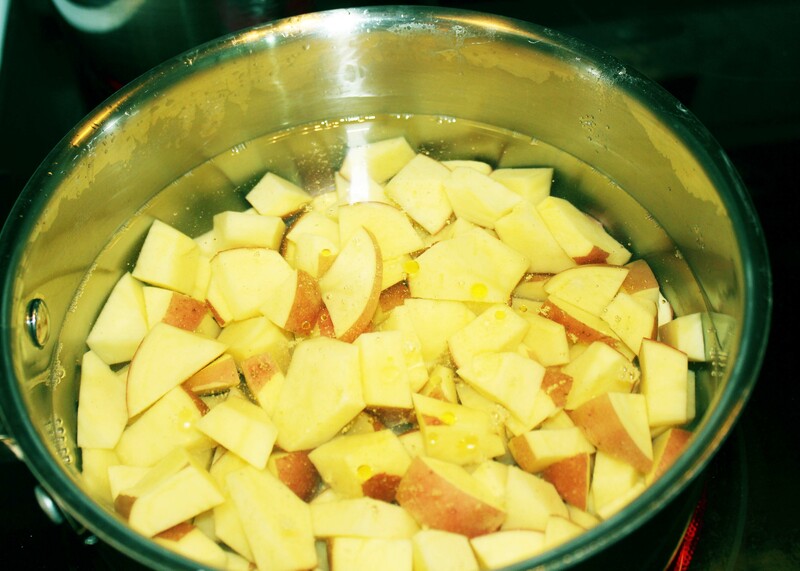 Chop the egg whites and pickles then add to cooked, drained and cooled potatoes. Spoon the dressing, made from the smashed yolks, over the top of the chunky mixture. Blend well. Top with paprika and parsley then dig in! 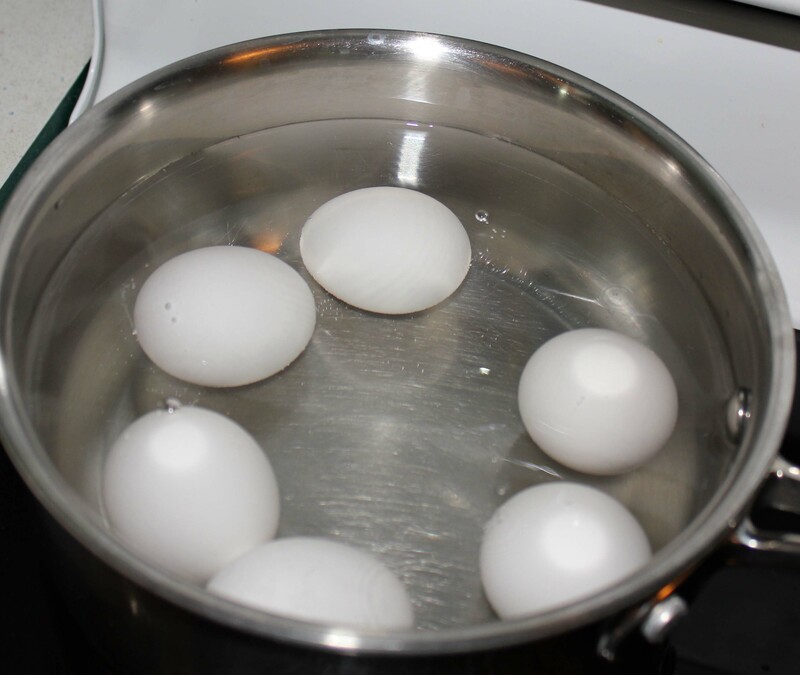 Boil eggs until hard-boiled then cool. Cut potatoes into bite-sized chunks, leaving on skin if possible. Boil until fork tender but still firm. Rinse, drain and cool. 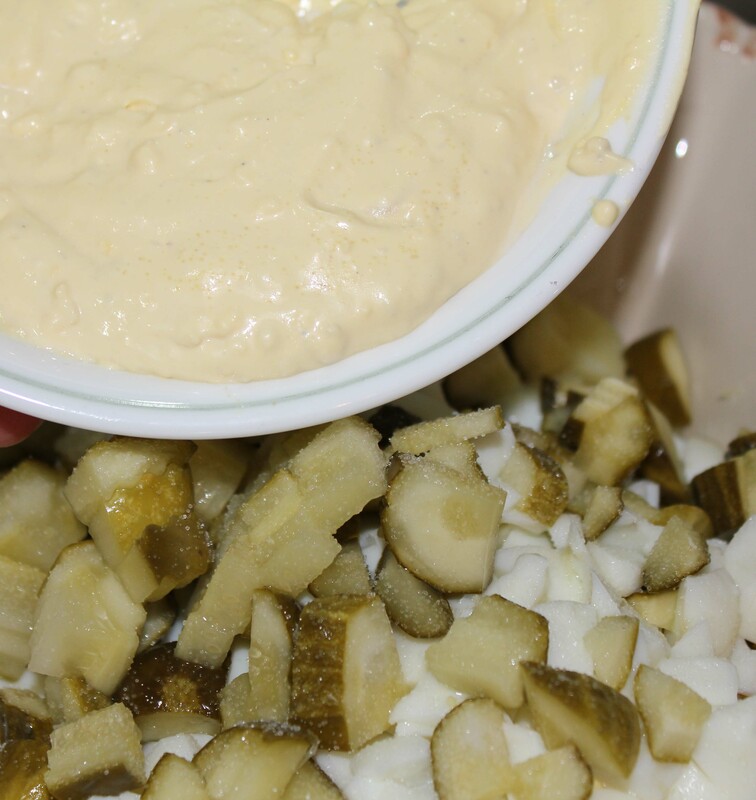 Slice pickles into bite-sized chunks then add to potatoes. When eggs are cool, remove yolks and set aside. Cut cooked egg whites into chunky pieces and add to potatoes. 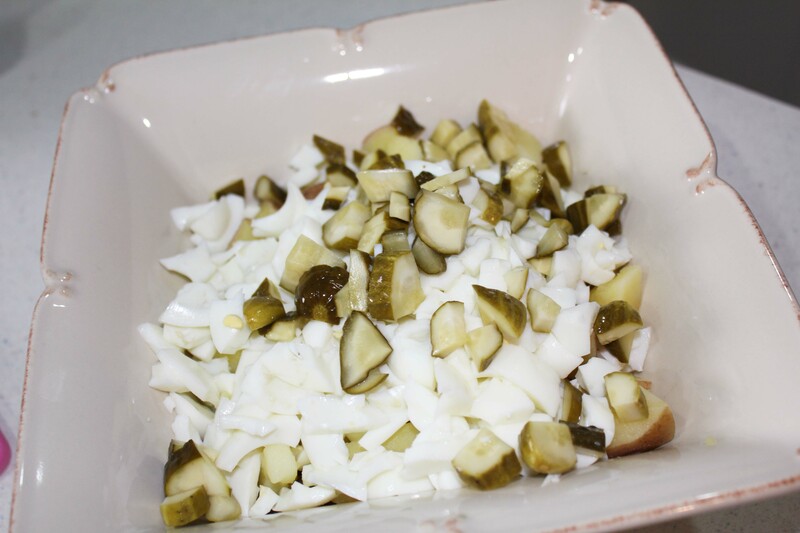 Smash egg yolks until no longer crumbly and add mayo, pickle juice and ranch dressing. Do not, under any circumstances, substitute salad dressing for mayonnaise. You will be taken out in the streets and flogged. 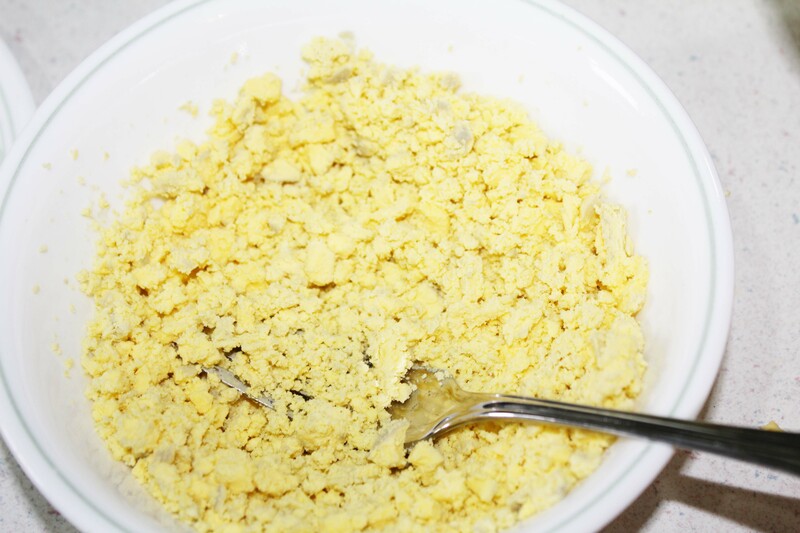 When your egg yolk mix is nice and creamy, stir it into the chunky mixture, coating thoroughly. Sprinkle with salt and pepper. Top with a sprinkling of paprika and parsley flakes. If I had fresh parsley, I would have used sprigs of it rather than dried.